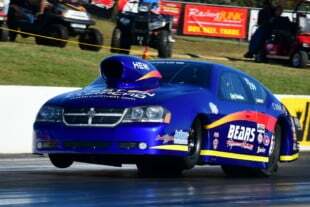 Longtime LSX racer Dave Adkins made drag racing history this afternoon when he clocked the first five-second run ever recorded by an LS-powered, full-bodied car, going 5.975 at 243.11 mph in a pre-race test session at the Shakedown at the Summit at Summit Motorsports Park in Norwalk, Ohio. 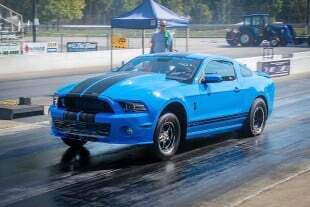 Adkins, running on 315 drag radials, clocked a 1.074 short time and a 3.961 at 194.35 mph to half track on his march into the record books. 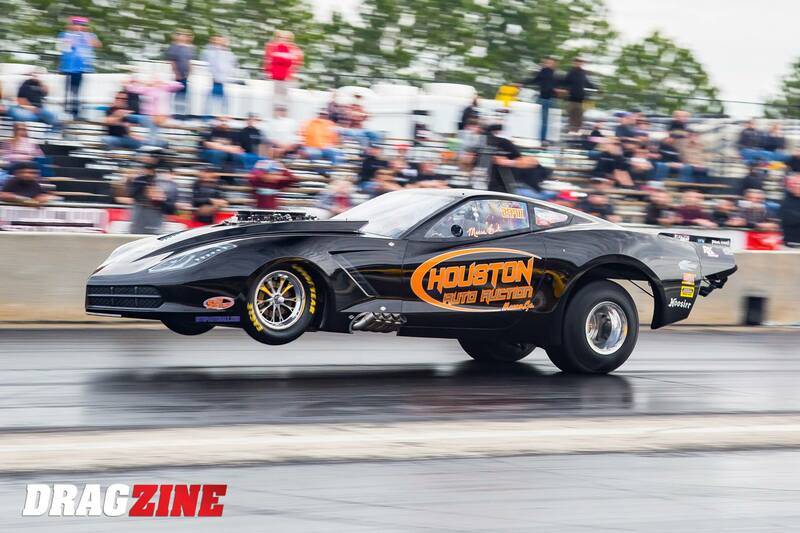 Impressively enough, his run, in full Radial versus The World legal trim, makes him just the second competitor to ever clock a sub six-second pass on drag radials, adding a little flair to the LS platform benchmark. 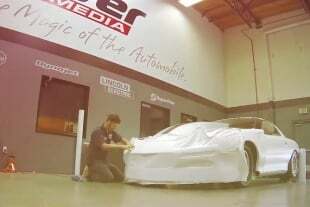 Adkins’ Jerry Bickel Race Cars-built 1970.5 Camaro — this just its fourth outing to date — is powered by a fresh 427 cubic-inch LSX, built upon a Noonan Race Engineering billet block with Baker Engineering inline-valve billet heads. Adkins uses a pair of Garrett GTX5533 turbochargers to provide the boost, and a ProTorque converter and RPM Transmission deliver the horsepower out to the little radial tires. Tuner and engine builder TJ Grimes controls the car with a Holley EFI ECU. 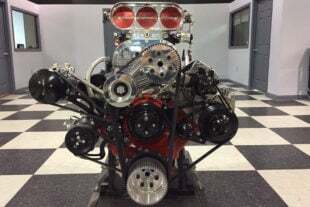 SEE INSIDE’S ADKINS’ LSX ENGINE BUILD HERE! Adkins reset the LS-powered eighth-mile record earlier this season at the Outlaw Street Car Reunion, going 3.87 at 198 mph — thus giving him all the confidence he needed that a “five” was out there. Adkins confirmed last week that he had his sights set on the quarter-mile record and the five-second zone during today’s testing, looking to better the 6.117-second mark he already held. 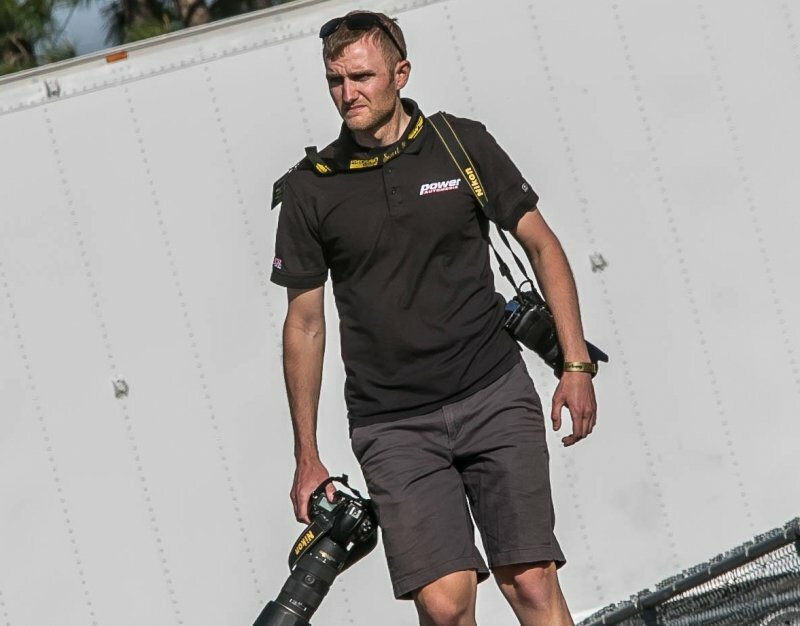 As he shifts his combination back into eighth-mile mode for this weekend’s Radial vs The World competition, he also intends to make a run at the 200 mph mark, trumping his own, aforementioned, 198 mph standard.